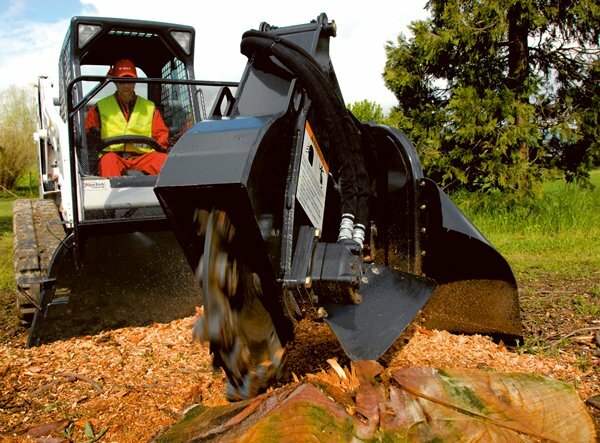 Our Bobcat SG60 Stumpgrinder removes tree stumps quickly and efficiently. This attachment allows us to grind any tree stumps down up to 250mm below ground level. The mulch can then be used as compost in the garden, ground cover or a fantastic alternative to walkway and driveway gravel. Once we have removed a stump, it leaves a new space for grass, plants or paving. 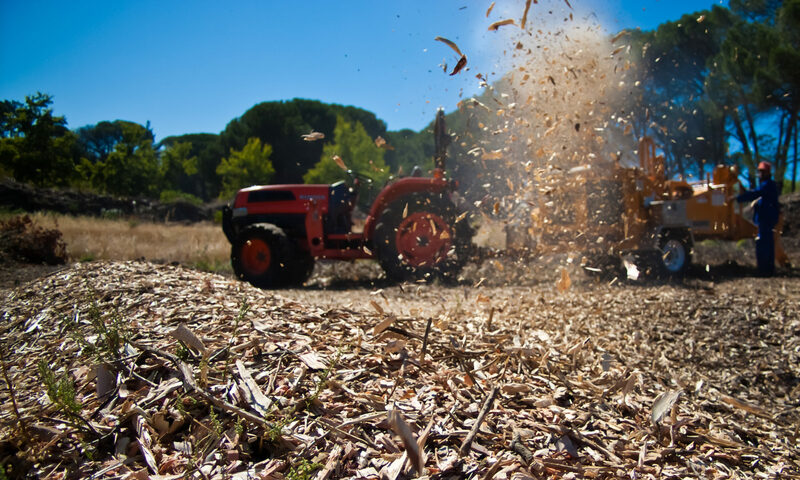 Since we utilise this attachment (one of the largest in the country), removing large diameter stumps from gardens, public walkways, farms and golf courses is an effortless process. Due to the large size and nature of the equipment, it is more economical to have a sufficient quantity of work to make it worthwhile. As an indication, we ground approximately 150 Bluegum Stumps (2meter average Diameter) in 11 days at our site in Robertson. l for the job. It can fit through normal garden gates for easy access and handles small to medium stumps with ease. Our service vehicles contain all the necessary equipment needed to remove a tree stump and our operators are trained to work, taking all the needed safety precautions.